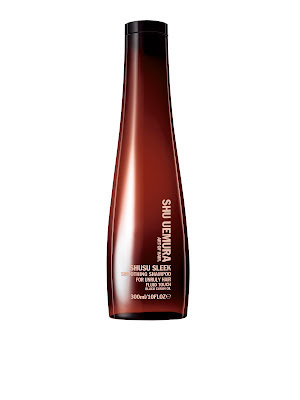 I have a very exciting giveaway for you today, fellow beauty chicks! One lucky winner has the chance to win the Shu Uemura Shusu Sleek Collection -- which isn't even available until September! The key ingredient in this collection, black cumin oil, contains a powerful combination of antioxidants to protect and restore the cuticle from environmental damage. Not to mention the unique floral oriental scent is truly divine! Shusu Sleek Smoothing Shampoo ($45): A paraben- and silicon-free formula with a high concentration of cationic polymers to smooth the hair. 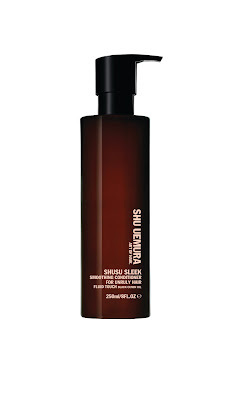 Shusu Sleek Smoothing Conditioner ($55): A paraben-free conditioner to tame even the most rebellious manes. 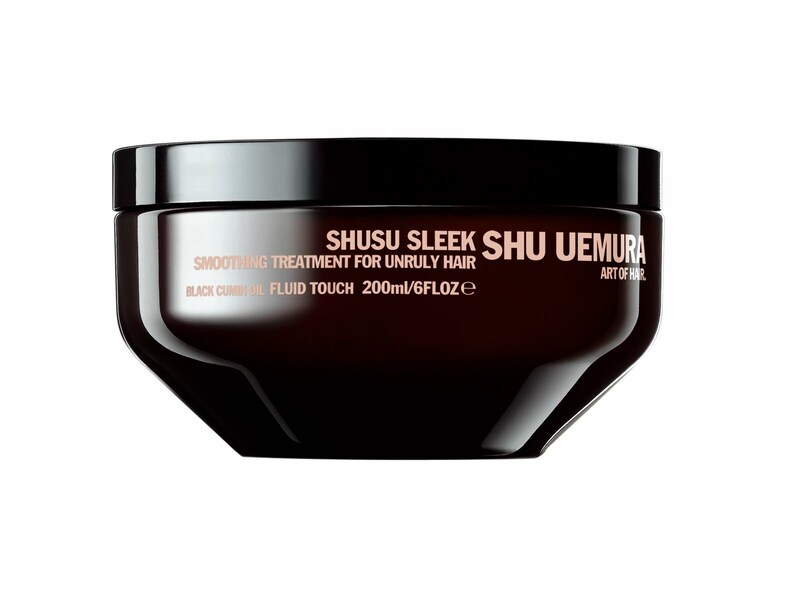 Shusu Sleek Smoothing Treatment ($65): A paraben-free mask that nourishes and tames unruly hair and helps attain long-lasting sleekness. To enter, place your name and email address in the box below. The winner will be selected on Monday, August 23 and notified by email. This giveaway is open to US residents only. Giveaway runs until Sunday, August 22 at midnight. One entry per person, email address and IP address. Multiple entries will be disqualified.